Happy Friday ladies! This week's IT list has a decidedly fall feel!Dig into these great links! simply bold takes a bad hair day and turns it into a good one... plus, I love this little belt trick! one hundred inspirations has this stylish Heidi Klum look for less. I'm loving these colors! 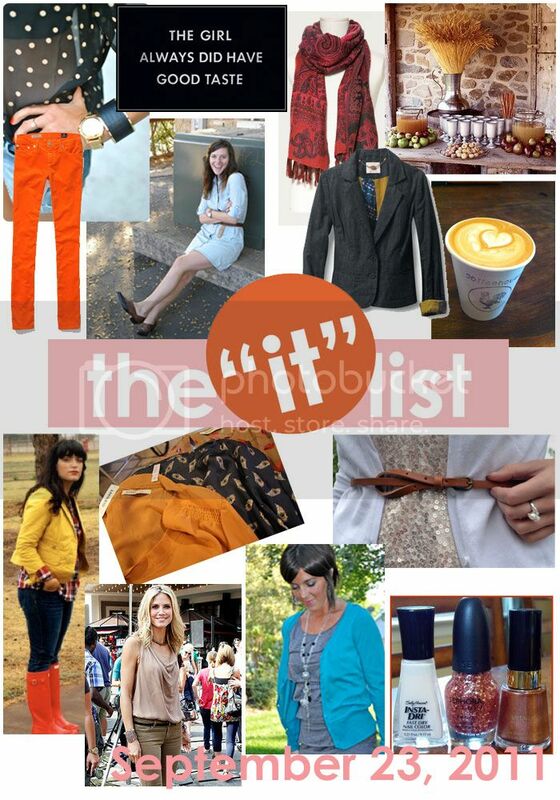 the IT list is produced weekly by jill of good life for less! for information on how you can be involved - click here! Love, love, love the IT List and so happy to see the SHE series!